Does one day define you? One thing, one person, one circumstance, one trial, one action, one tragedy, … one day? One day, or many days, can change the direction, the focus, can change everything. 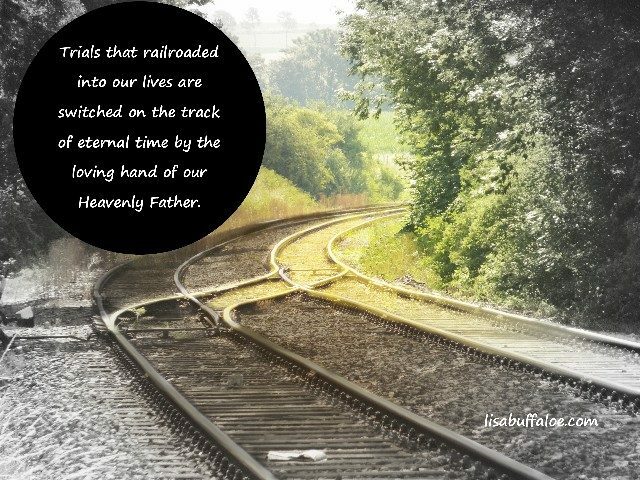 However, I have good news — trials that railroaded into our lives are switched on the track of eternal time by the loving hand of our Heavenly Father. Our worst days are changed by the best day in history — the day Jesus rose from the grave. The resurrection of Jesus gives hope that life will be resurrected. The days that dictated your trajectory are changed by Jesus who sets free every captive and heals every broken heart. Jesus who is hope, comes and blesses, heals, renews, bringing eternal hope. The grace of Jesus Christ covers every day of sin, His restoration changes every negative experience. The defining of our lives are not by what happened to us, but what happened through Jesus. God defines you as His creation, His beloved child, for in Jesus you are loved, beloved, forgiven, restored, and renewed. No day is too messed up to be remade and redeemed by God. Whatever has happened, whatever you have done, God’s grace and restoration are available. Have you been falsely accused, beaten, or abused? Paul, Peter, most of the disciples know how you feel, and Jesus definitely knows how you feel. Have you been a liar, thief, prodigal, denied Christ, or ran from God? Ask Jacob, the thief on the cross, the prodigal son, Peter, and Jonah about the mercy and restoration of God. Is murder too hard for God? Ask David and Moses about the grace and restoration of God. Is adultery too hard to forgive? Ask David, the woman at the well, and the woman caught in the act of adultery about the grace and restoration of God. No matter what was done to you, no matter what you have done, no matter how hard or how dark your days, God’s light of grace and restoration is waiting for you. Start today, right now, by giving your days to Jesus and those past defining days will be redefined by the saving grace and mercy of Jesus Christ. No sin is too dark, no day, and no difficulty is too hard for God to redeem, restore, and renew.